High quality,Well-designed, sophisticated PU Leather material,Suitable for the living room, office, salon and so on.Use of comfortable and environment friendly suede material.Can be used for general household. Convenient and practical. 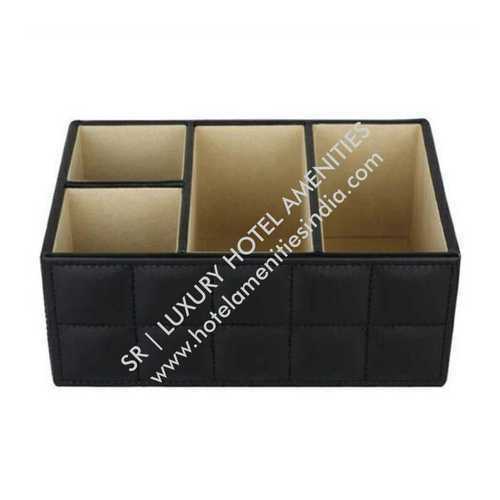 We provide the finest quality of Hotels & Hospitality Leather Product including leather dust bins, leather tisuue holder, leather bill holder, leatherette tray etc. 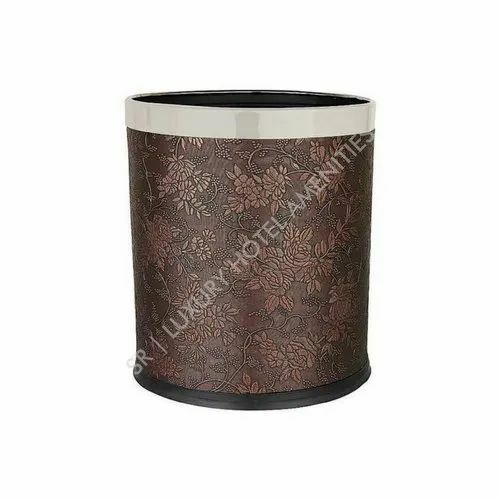 These products are carefully designed with proper finish with the aid of innovative tools under the surveillance of experts.These products are highly demanded in hotels, restaurants and hospitals.These can be bought from us at affordable prices. Packaging Details: Eco-friendly packaging material. 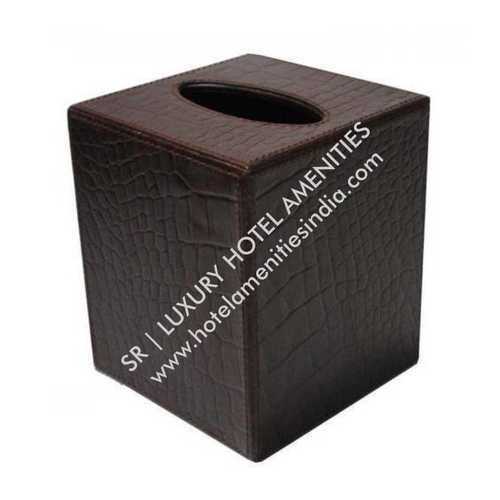 Available with us are wide range of Leather Dustbins which are fabricated using quality raw materials. It enhances beauty of any establishment and lends aesthetic and classy look to your space. 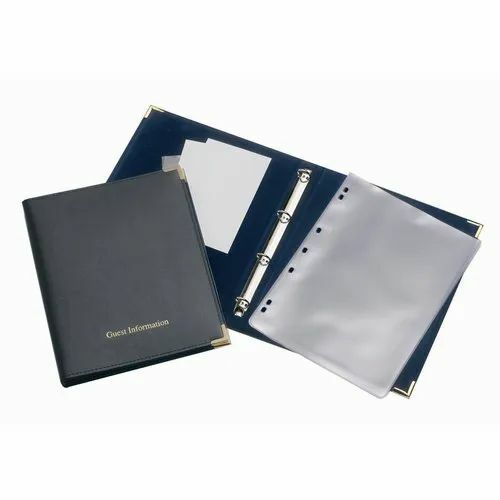 We are a leading Supplier & Exporter of Hotel Leather Products such as Hotel Room Tray ,Tray With Cut Handle, Welcome Tray,Menu Folder, Beverage Menu Folder, Bill Folder and Photo Album,etc. Size : B/4 , Pockets for Important Papers. Packaging Details: per box contain 50 files. 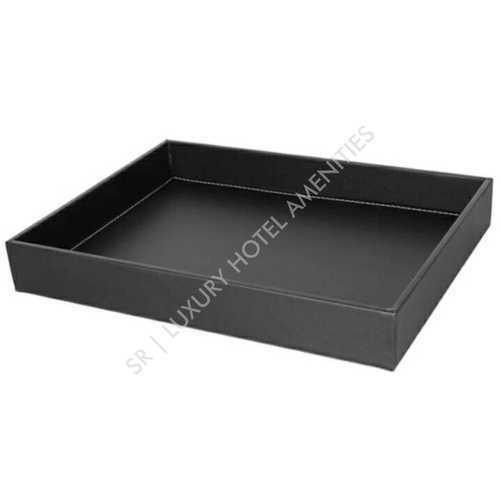 Looking for “Leather Hotel Products”?